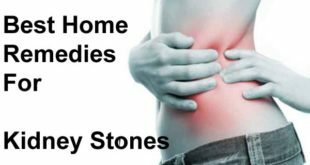 Home / Home Remedies / How to Get Rid of Kidney Stones? The size of kidney stones may vary as some stones are very small and might be passed out in the urine with minimal or no symptoms. On the other hand, a few of them may grow quite large in size, eventually blocking the opening of the urethra. To let you know, the tube that allows urine to pass from each kidney to the bladder is named as Urethra. When the tube is blocked, this causes pain, frequent urge to pee and puke, nausea, and excessive sweating. If in case you are one among the unlucky 10% who is suffering from kidney stones. 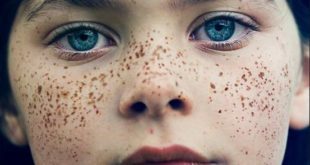 Or if someone in your family has experienced the problem in past then you want to or should read this article. It will help you to discover the top and the best natural home remedies to get rid of kidney stones. The remedies will treat, prevent and alleviate the discomfort. In addition, it will break apart those little rocks in the kidney before the problem worsens any further. Staying hydrated is the key to prevent kidney stones. No we have not begun with the remedies to get rid of kidney stones but this is just an advice that everyone should follow. Drinking plenty of water is a vital part when trying to get rid of kidney stones. 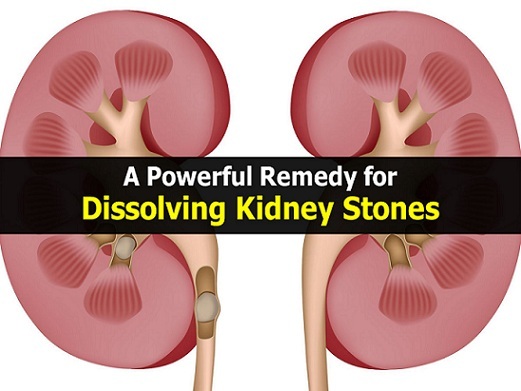 Well, this is because fluids help in passing the kidney stones and also prevents the formation of new stones. 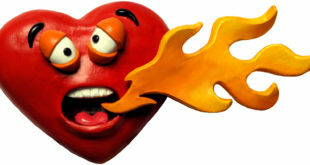 Not only will the liquid help to flush out the toxins but it will also help to move the stones. This will eventually help to get rid of them easily through your urinary tract. Although, water alone may be enough to do the trick and help you get rid of kidney stones, adding a few ingredients can prove beneficial. Make sure that you drink 8-ounce of water immediately after drinking any flavored remedy. This is because the water will help to move the ingredients through your system. We always recommend that you should consult your doctor before getting started with any of the home remedies listed below. This is because doctors will tend to guide you in the right manner. They will also be able to analyze the situation and suggest correct measures. 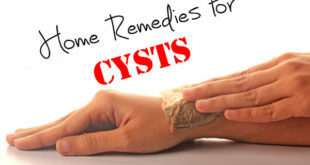 These can also assess whether making use of home remedies as a treatment to get rid of kidney stones is right for you. Or if there is a possibility that it could lead to additional complications then you will be saved. If in case you are pregnant or breastfeeding, we advise you to please use these natural home remedies with caution. Although they are all natural but you never know what you might be allergic to. Taking your doctorвЂ™s help will be the best thing to do as your doctor can determine whether an ingredient may cause side effects for you or your baby. Water makes it as the very first and the most readily available ingredients that can help you to get rid of kidney stones. When trying to get rid of kidney stones from your body, increasing your water intake can help to speed up the process of eliminating the stones from the organ. All you need to do is to strive for 12 glasses of water every day instead of the usual count which is of eight ounces. Once the stone is eliminated through the urethra, you should not stop the water intake. Instead continue to drink eight to 12 glasses of water each day in order to get rid of kidney stones and also to prevent their reoccurrence in future. Because dehydration is considered as one of the main risk factors that leads to the formation of kidney stones. And the last thing you would want is the formation of more tones. Remember to pay attention to the color of your urine. The color should always be a very light, pale yellow. Dark yellow color urine is a sign of dehydration. Lemons are known to have citrate, which is a chemical naturally present in lemons. Use of this chemical prevents the formation of calcium stones. 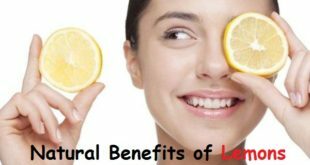 Citrate can also help to further break up already formed small calcium stones, allowing them to pass more easily through the urethra.В Lemon juice is also popular for numerous other health benefits. For example, it helps to inhibit the bacterial growth in your body. Basil leaves are a popular ingredient used to get rid of kidney stones. The natural presence of acetic acid in basil leaves is the key which helps to break down the kidney stones. And also helps to reduce pain caused due to the blocked urethra. 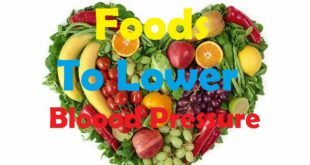 It also helps to lower the levels of uric acid. This indeed will reduce your risk for formation of future stones. You can either use fresh or dried basil leaves in order to prepare a tea and drink several cups if this basil tea every day. One can also consume the juice of fresh basil leaves or add it to a smoothie order to soothe the bitter taste. For your information, you are not advised to use medicinal basil juice for more than six weeks at a time. Extended usage without doctorвЂ™s consultancy may even lead to: Low blood sugar, low blood pressure or increased bleeding. Apple cider vinegar is the most popular remedy, a natural ingredient and a cure to almost all the possible health issues. ACV is known to have citric acid, similar to the benefits of lemon. The Citric acid will help you to dissolve the kidney stones. Apple cider vinegar can help alkalize the blood and urine. This will increase the production of stomach acids in order to prevent the formation of new stones. In addition to flushing out the kidneys, ACV further helps to ease the pain caused by the stones which tend to block the urethra. In order to reap the benefits of ACV all you need to do is, add 2 tablespoons of ACV to 6В­В­вЂ“8 ounces of purified water. Now drink this water solution throughout the day in order to get rid of kidney stones. You should not consume more than 8-ounce of this mixture per day. If ingested in larger amounts, ACV can even lead to low levels of potassium and osteoporosis in your body which can harm your health. Diuretics, such as spironolactone (Aldactone). Celery juice is yet another wonderful remedy clears away toxins that contribute to kidney stone formation. It also helps flush out the body so you can pass the stone.В Blend one or more celery stalks with water, and drink the juice throughout the day. sedative medications, such asВ alprazolamВ (Xanax). Blood pressure medications, such asВ chlorothiazideВ (Diuril), rosuvastatinВ (Crestor). The broth from cooked kidney beans will assist in improving the overall urinary and kidney health. This broth also helps to dissolve and flush out the kidney stones. It is done by simply reducing their size to the point which can easily passed through the urethra. All you need to do is to simply strain the liquid from cooked beans. Drink a few glasses of this broth throughout the day if you want to get rid of kidney stones. 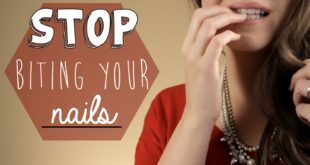 The home remedies enlisted below may contain ingredients that are not already in your available in your kitchen. But you can easily buy them from your local health food store or online stores. Dandelion root is yet another effective home remedy to get rid of kidney stones fast and naturally. Its juice is popularly known as a kidney tonic that helps to stimulate the production of bile in the gut. 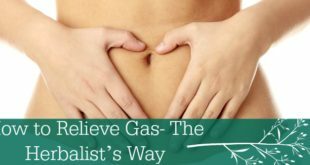 This eventually helps to eliminate the waste, increase urine output, and also improves the digestion. Dandelions are known to have vitamins (A, B, C, D) and minerals such as potassium, iron, and zinc. These benefits help to dissolve the kidney stones and get rid of them easily. If you are taking medications, talk to your doctor before starting with the consumption of dandelion root extract. This is because it can react with many medications and result in various side effects. Wheatgrass is known to be loaded with many nutrients and has been popularly used as an age old remedy to enhance the overall health of your body. Its juice helps to increase urine flow in order to help pass the stones easily. This popular remedy is also known to contain vital nutrients that help to cleanse the kidneys. You can drink 2вЂ“8 ounces of wheat grass juice every day in order to get rid of kidney stones naturally. 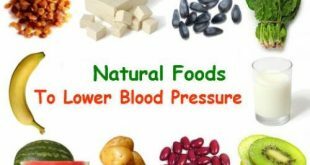 In order to prevent the side effects, start with the smallest amount possible at first and then gradually increasing the amount, work your way up to 8 ounces. If in case fresh wheatgrass juice is not available, you can also take powdered wheatgrass supplements as directed and in consultancy of your doctor.В Taking wheatgrass on an empty stomach can reduce the risk of nausea. In some cases, the consumption might result in loss of appetite and constipation but do not panic and simply take the medication to cure these problems. Horsetail is popularly known to get rid of kidney stones. It also helps to increase the urine flow which will eventually help to flush out the kidney stones by reducing their size. This will help to soothe the swelling and inflammation caused due to the blocked urethra. The ingredient is also known to have natural antibacterial and antioxidant properties that help to improve the overall urinary health. However, theВ Cleveland ClinicВ warns that one should not use horsetail for more than six weeks at a time. This is because there are dangers of seizures, low vitamin B, and its long term usage can also result in loss of potassium.В You should not use horsetail if you takeВ lithiumВ (Lithane), diuretics, or heart medications such as digoxin. The ingredient is also not recommended for children and pregnant or nursing mothers. Horsetail is known to contain nicotine which should also not be consumed if you are trying to quit smoking or using a nicotine patch.В You also should not consume the ingredient if you have: Alcoholism, Diabetes. Immediately consult your doctor if you are unable to pass your stone within six weeks of its consumption. Or if you begin experiencing severe symptoms which include severe pain, blood in your urine, fever, chills, nausea or vomiting.В Your doctor will easily be able to determine whether you require any special medication or any other therapy which will help you to get rid of kidney stones. While Stinging Nettle is a most commonly used ingredient and also a natural remedy for joint support and toВ relieve seasonal allergy symptoms. This magical ingredient is also a powerful diuretic which has an anti-bacterial property naturally present in it. All you can do is to drink two to three cups of nettle leaf tea every day. This will work wonders to help you get rid of kidney stones and flush minerals and toxins out of the kidneyвЂ™s system. It will eventually put a halt on the growth of existing stones, and will also discourage the formation of new stones. Use of this remedy will also help to prevent urinary tract infections which are another popular cause of kidney stones.В Try theВ organic Nettle Leaf TeaВ for better and effective results. It has been proved that that over or excessive consumption of certain animal proteins can give rise to the formation of kidney stones. If you are prone to the condition of kidney stones then we recommend that you should consider replacing a few of the meats from your diet. Replace them withВ healthy vegetable proteins. While a lot of people may not like the idea of giving up or quitting their meaty diet, the excruciating pain of passing kidney stones due to the blocked urethra or oversize stone might be incentive enough to make you control the diet. Some excellent vegetables are proven to be a good source of protein which includes green peas,В quinoa, chia seeds, almonds,В spirulina, beans, hummus and soy. Always make sure that your body needs approximately 50 grams of protein every day. If you are planning to switch from meaty diet to pure vegetable sources then you might even want to firstВ familiarize your body with the protein contents of these foods. A lot of vegetable protein sources are known to be the great sources of insoluble fiber. This makes yet another effective remedy for halting the growth of existing kidney stones, preventing the formation of new stones eventually helping to get rid of kidney stones. Insoluble fibers are known to help in reducing calcium from the urinary tract by simply binding it in the intestines. Calcium passed through the stool means that now less of the minerals will be available to get crystallized in the kidneys. Some if the great sources of soluble fibers include whole grains, legumes, green vegetables and fruits. While many fruits and vegetables are known to be as excellent sources of fiber. But make sure that you are aware the amount of oxalate they contain. This is known to be as one of the major causes of kidney stones. Although it might sound painful but it is actually possible to pass a kidney stone on your own.В You can take over-the-counter pain relievers in order to help you lessen the pain which is caused when trying to pass an oversize stone. These OTCs includeВ acetaminophenВ (Tylenol),В ibuprofenВ (Advil), orВ naproxenВ (Aleve). Make sure that you continue with the treatment until the stone is passed through urethra. We recommend quitting alcohol consumption when the treatment is active. Once you pass a kidney stone, you may save it to take to your doctor for testing. In order to get the stone, you will have to strain the urine. Having a look at the stone, the doctor will be able to determine what kind of stone it is. This will also help to develop a targeted prevention plan to prevent the formation of future stones. You might also add these natural home remedies to your usual regimen. Once can also prefer to continue the usage after the stone has passed from the system. This will surely help to prevent the formation of more stones. But we recommend that you should always consult your doctor before commencing with the consumption of any OTC or natural herbs. This will prevent you from any allergic reactions or health issues in future. 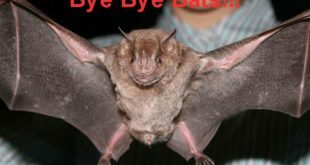 Previous How to Cure Diarrhea? 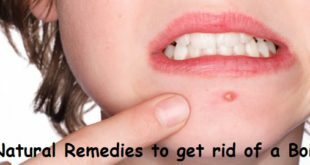 Next How to Get Rid of an Ingrown Hair ?